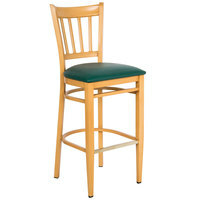 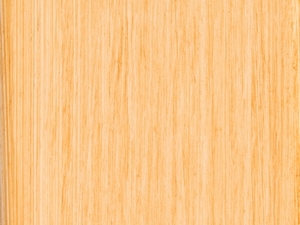 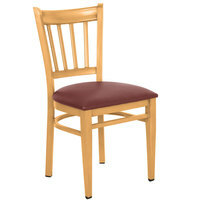 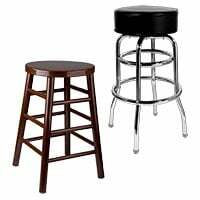 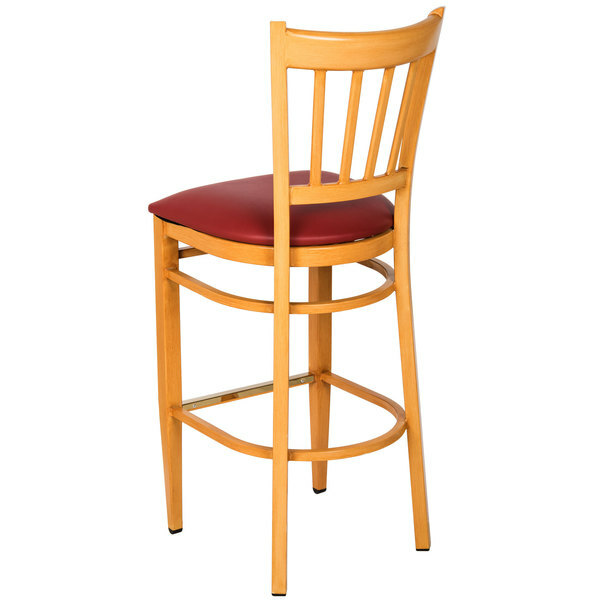 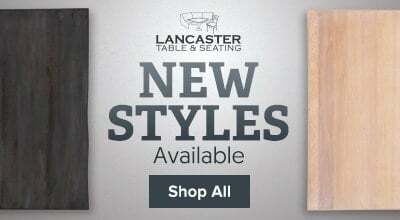 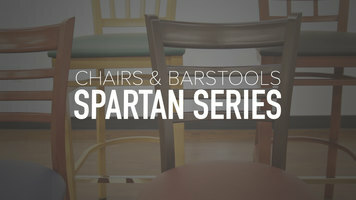 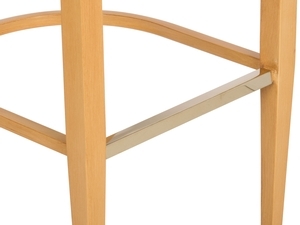 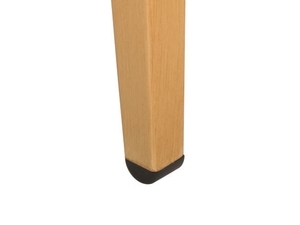 This Lancaster Table & Seating Spartan Series bar height slat back chair is ideal for bars, restaurants, and cafes. 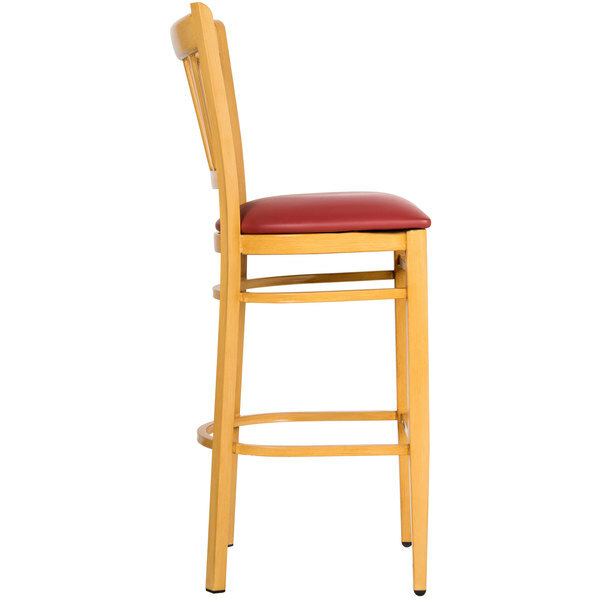 With the Lancaster Table & Seating Spartan Series bar height metal slat back chair with natural wood finish and red vinyl seat, you’ll get a durable and stylish seating option. 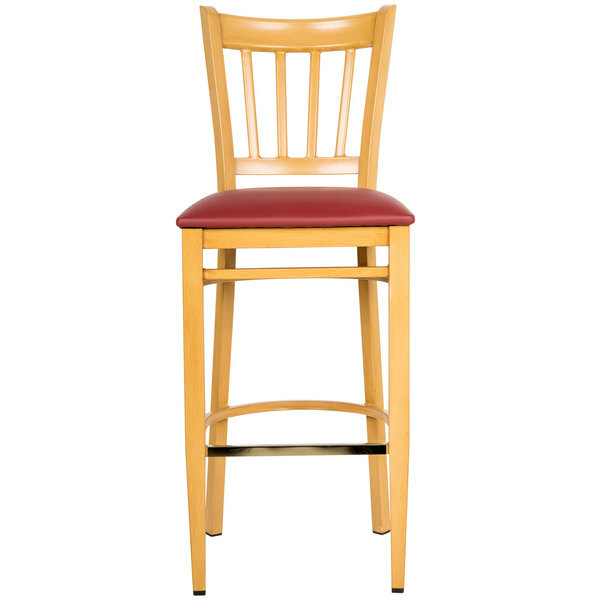 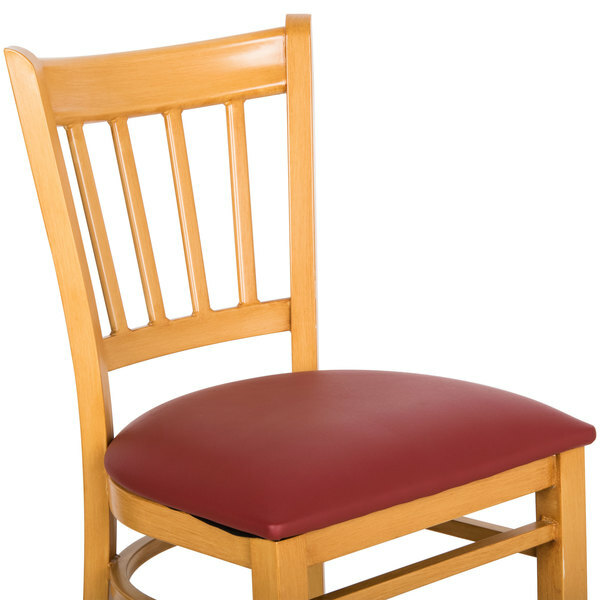 With a light natural wood finish and vibrant red upholstery, this chair will add an attractive splash of color to your dining room. Its taller bar height also allows you to set up extra seating at your bar or use taller tables for a more interesting restaurant layout.